Burj Al-Luqluq Social Center Society has organized in its facilities the tournament ‘The Prisoner’s Day’ for the third time of its type. The tournament was sponsored and supported by the businessman ‘Samer Nussibeh’ who has attended the draw including the attendance of Prisoner’s Club head manager ‘Nasser Qaws’, the administrator of prisoners’ parents committee ‘Amjad Abu Assab’, the member ‘Ala’ Haddad’, the released prisoner ‘Riyad Al-Jubeh’ and Burj Al-Luqluq administrative staff. At the draw, Muntaser Idkaidek presented a welcoming speech and confirmed about the importance of organizing this type of tournament. Furthermore, he confirmed that our prisoners are at top priority of community concerns in order to reinforce the linkage between community members with a participation of 6 Jerusalemite teams for players who were born in 2003 and above. 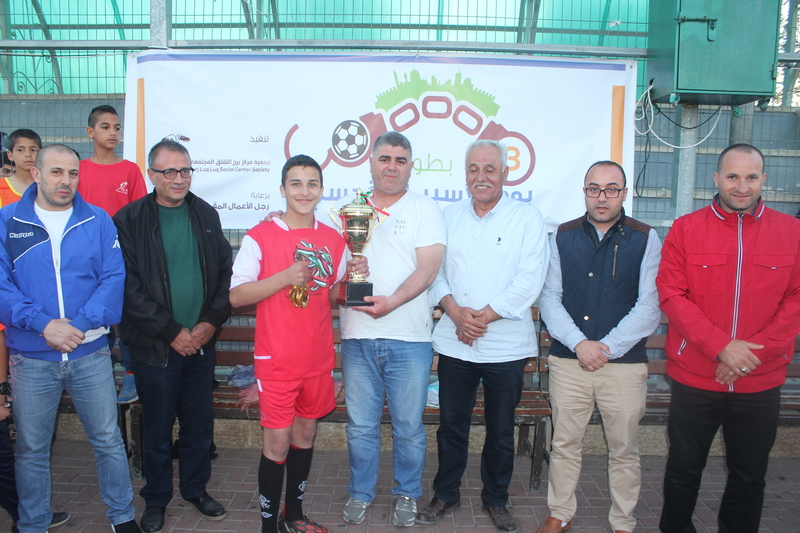 From his side, the businessman ‘Samer Nussibeh’ confirmed that it’s his pleasure to sponsor this tournament for the third time and confirmed that it is essential for its message in the hearts of Jerusalemites. It’s worth mentioning that each team will get 12 kit provided by ‘Samer Nussibeh’ as a personal contribution to support Jerusalemite teams and clubs.